Lately, I have been really embracing the holiday spirit, enjoying plenty of holiday specials on TV and playing my favorite holiday music. But even with the positive mindset I strive to maintain and my naturally joyful spirit, relishing in the holidays has not always been so easy. After my father passed 6 years ago, I have been all over the place when it come to the holidays. I’ve gone from being depressed to wanting to deviate from the family traditions, to even going as far as feeling like The Grinch himself, and that was as recent as last year! Although I may go through my whirlwind of emotions around this time of year, I always end up coming around to the spirit of the holidays. As much as I may dread having to see some of my crazy family members at holiday functions (let’s be real here), as much as I may want to be in a better position to do more for others during the holidays, and as much as I may miss my dad (even more so because this is the time of year that he passed), there is still something special about the holidays that just can’t be ignored. The spirit of gratitude, love, giving (minus the excessive consumerism), togetherness, fun, laughter, family, friends and celebration is so beautiful and fulfilling. Many people complain about the overwhelming effects of the holiday season, but the reality is, no matter how many different spins are put on it, the underlying spirit of the holidays is one that benefits us all. From Thanksgiving to New Years it literally becomes an amazing time of year where thoughtful gifts are given, well wishes are sent through cards, texts, emails and social media from people of all eras and aspects of your life, good times are celebrated with the ones you love, movies are playing sharing the message of Christmas miracles, and all sorts of feel good music fills the air. What a wonderful way to end the year! When you think about what all of these holidays represent, no matter what religion or beliefs you share, it’s really an amazing way to celebrate life, as great feelings and experiences abound. Enjoying the beauty of Luther’s voice in this holiday song proves that we can still enjoy the greatness of our lost loved ones, even when they seem so far away. 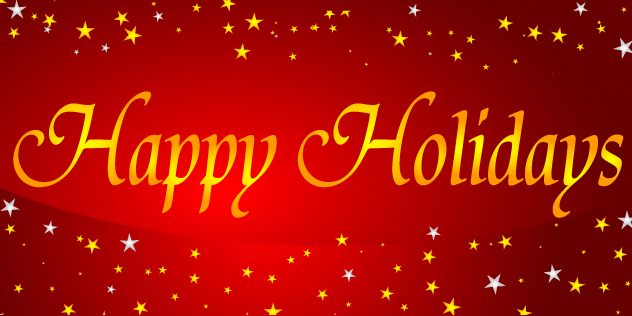 Share your thoughts in the comments: What is your favorite part of the holidays? What is your favorite holiday song? What helps you get into the holiday spirit when you are feeling like The Grinch? That is what Christmas is all about, the spirit of sharing and loving one another, no matter what you believe in. Have a wonderful holiday, Alexis! Thanks Marcia! Same to you! I did have a wonderful Christmas, thank you Grace. 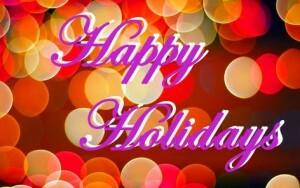 I hope you had a wonderful holiday also and a Happy New Year coming up! At first, I thought I wouldn’t enjoy this holiday due to the increasing number of duties I had to do. But leaving them all behind and facing the season and all it had to offer made it one to remember. Do the important things at their appointed time. Christmas only comes once a year, so why not enjoy it… Merry Xmas Alexis. That’s a good way to look at it Lanre. Enjoy life and the gift of the holidays while you can. Merry Christmas and Happy New Year to you!